-2018 and Podcasting: What the next year might have in store for us? Spreaker keeps the original uploaded file only if it’s an mp3. So to answer the question: we do have the original file ONLY if it’s an mp3, no matter the encoding settings. This was done for different reason that what you maybe expect, and the reason was to preserve the ID3 metadata in file, since at that time we were not able to safely copy them over to the new file. We re-encode EVERY file that’s not mp3 AND 128kbps AND stereo AND 44100Hz. This is because to keep our custom streaming server simple back in the days, we decided to support only this format. For streaming (website + apps) we always use the re-encoded one. For Downloads we use the original one when it’s available (see 1) except when the download comes from the iOS podcast app. The reason behind this is that we detected that app to be broken when processing some ID3 metatada (at least iOS8/9/10) so to avoid playback issues we have an exception in place that checks the user agent of the request and decide based also on that. Good discussion. Note to Doug - the issue for me is not compression. It’s that I want to do it. 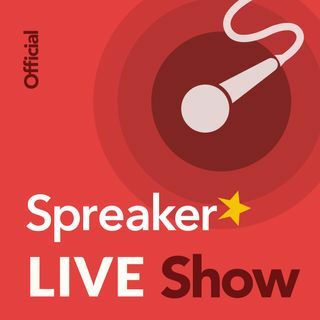 Not Spreaker. If my audio is double-compressed - that’s bad. I spend a lot of time getting things the way I like it; and mono not stereo. Stereo is overkill. So what I want is actually lower quality... but I can’t do it. We're becoming a society where we all live in our own internet bubbles. Our reality is our reality, but not the reality of others. Strange world we live in. YES! 1st Amendment is our right! YouTube is a ghetto. Dang, that's messed up what they are doing to Alex's channel. Nooooo. My videos are clean. Yes, they shut down everything! I love the snow. Can't wait for it to come tonight. Going snow hiking tomorrow. Good to hear you are hearing it! Odd, I hear it just fine. Yes, thanks for joining us, Manuela! Thank you for listening Live!